SALEM, OR -- State officials had hoped to have permanent rules in place by now, that would limit the use of an herbicide believed to be responsible for the deaths of thousands of trees near Sisters. But, the proposed ban has been delayed at least three more weeks. The herbicide, sold under the name "Perspective," is made by Bayer Crop Science. Oregon's Department of Agriculture spent months holding hearings and collecting information before agreeing to ban Perspective's main ingredient Aminocyclopyrachlor (ACP). "Bayer requested the agency to postpone," says Dale Mitchell, with the ODA, "Under Oregon administrative law, the department must postpone, and we must postpone the final rulemaking at least 21 days, but no more than 90 days." Bayer asked for the full 90 days, but were granted the minimum. Mitchell tells KBND News the ODA was surprised by the last minute request, "The request to postpone from Bayer was received on March 20th. Friday the 22nd would've been the intended date that we would've filed with the Secretary of State's office; [so] just under the wire." He adds, "In the correspondence from Bayer requesting, it indicated that they are intending on providing, apparently, some additional information to ODA to take into consideration." ODA will take public comment until Friday, April 5. Click HERE to learn more about ACP and the proposed ban. 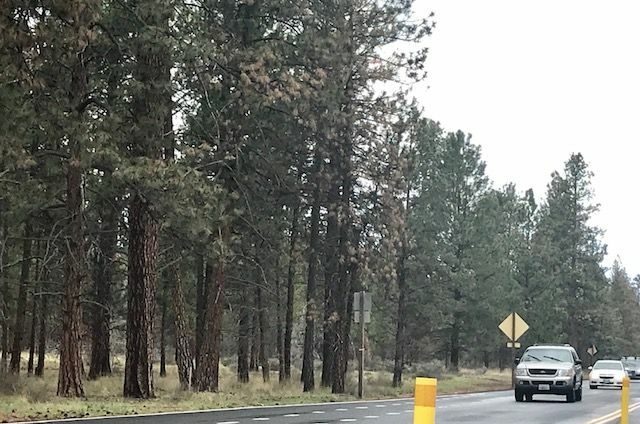 The U.S. Forest Service and Oregon Department of Transportation are removing more than 2,000 dead or dying ponderosa pines from Highway 20 in Sisters. They tested positive for exposure to ACP several years after Perspective was used along the roadside.